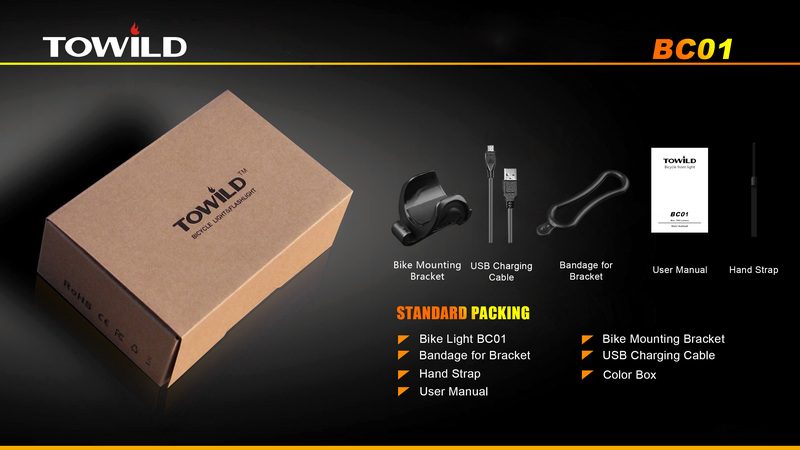 Buy Towild BC01 500LM USB Rechargeable Bicycle Light Mini Bike Front Headlight LED Waterproof 5 Modes Cycling Safety Luces Lamp Flashlight Torch , from for $19.95 only in Website. Worldwide Fast Free Shipping! 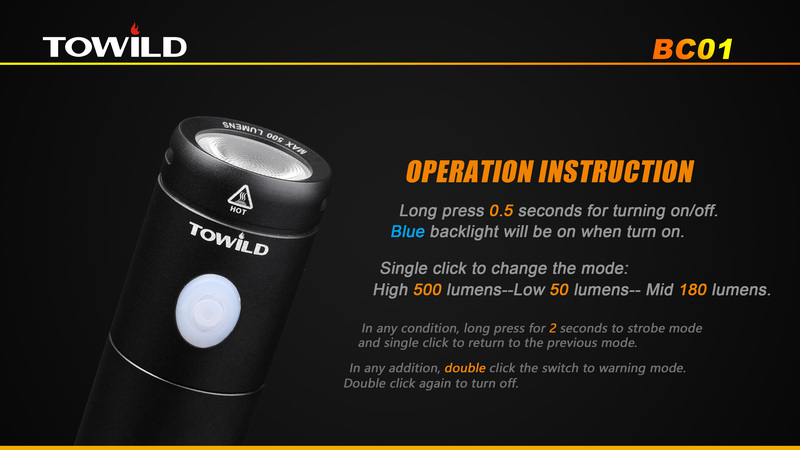 Short: Buy Towild BC01 500LM USB Rechargeable Bicycle Light Mini Bike Front Headlight LED Waterproof 5 Modes Cycling Safety Luces Lamp Flashlight Torch for only $19.95 in LED Bicycle Lights - LED Bike Lights at Main Website Store, Website. 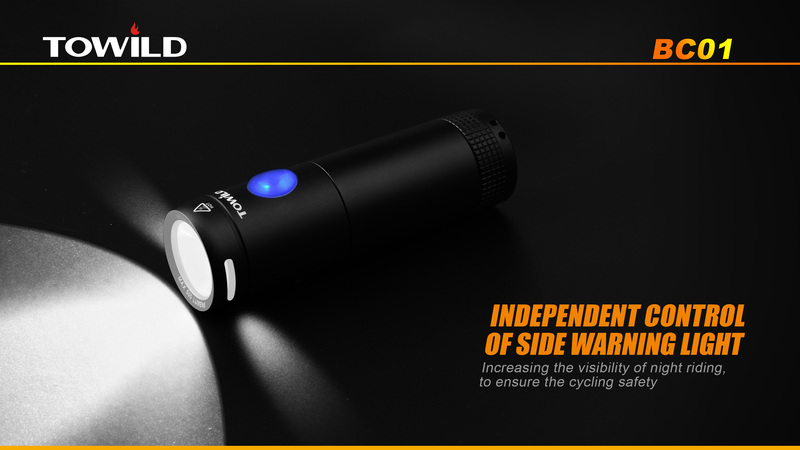 This bike light is super bright that shines up to 500 lumens and breaks the darkness with a maximum range up to 140m. 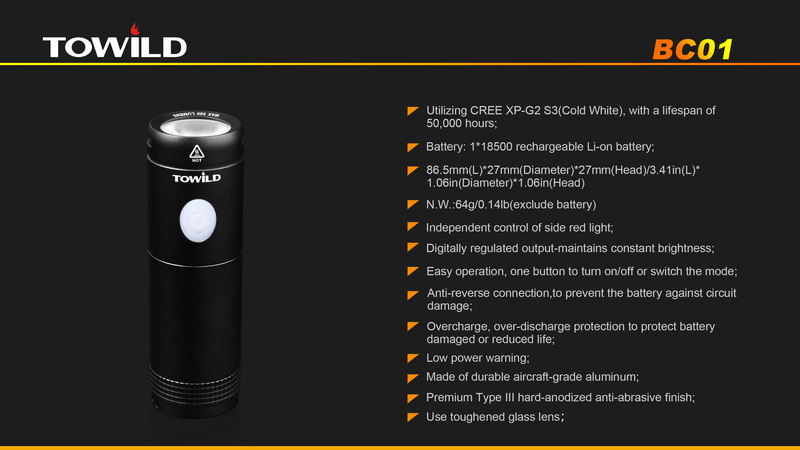 It has five modes to meet your needs: high, low, mid, slow flash, fast flash. After installing a rechargeable 18650 battery, you can simply use the USB cable to recharge the light with a power bank, computer or other USB charging devices. 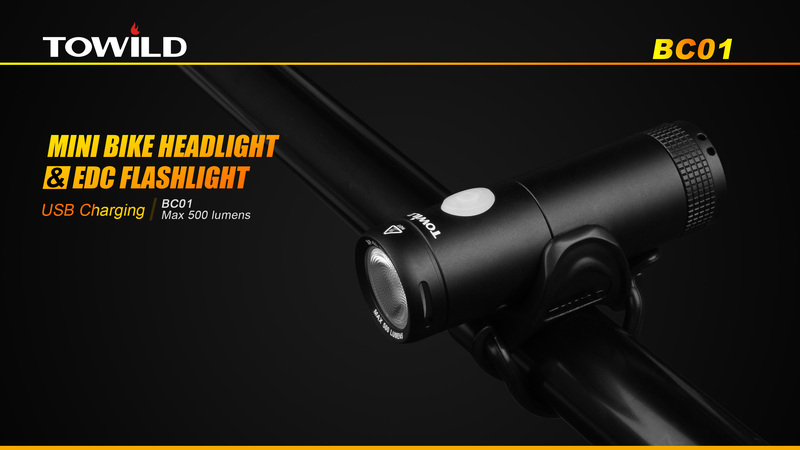 The light is constructed with aircraft-grade aluminum and anodized finish, lightweight and durable. 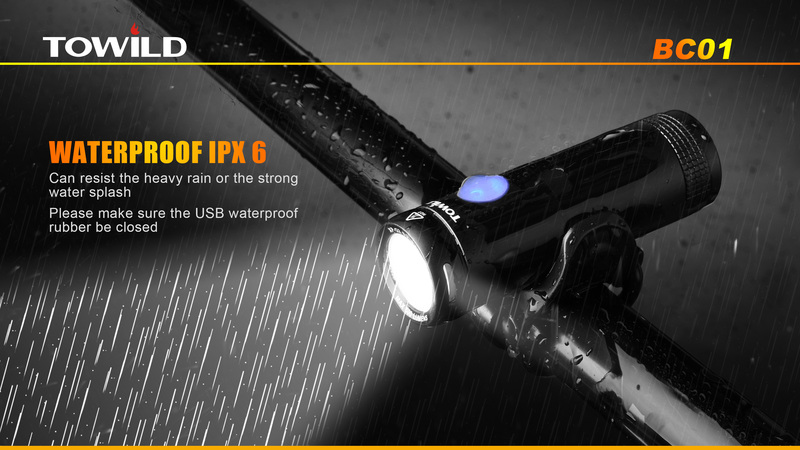 It is IPX6 waterproof to protect the light against water splashing, no worry about riding in rainy days! 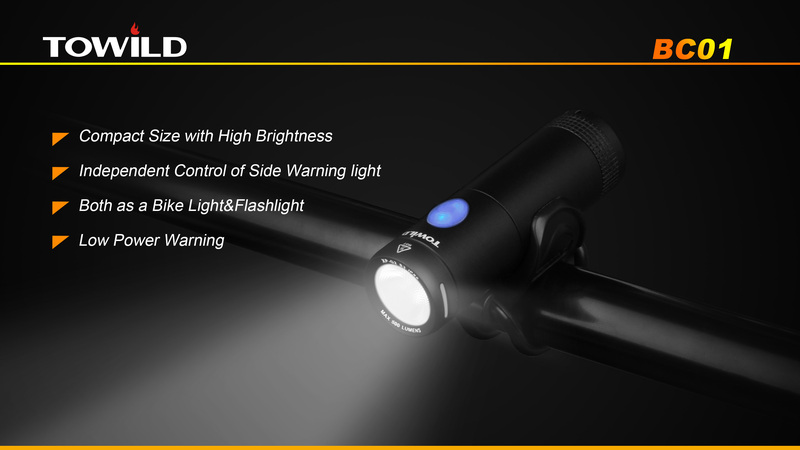 Super bright LED light breaks the darkness with a powerful 500 lumens and maximum range up to 140m in distance. 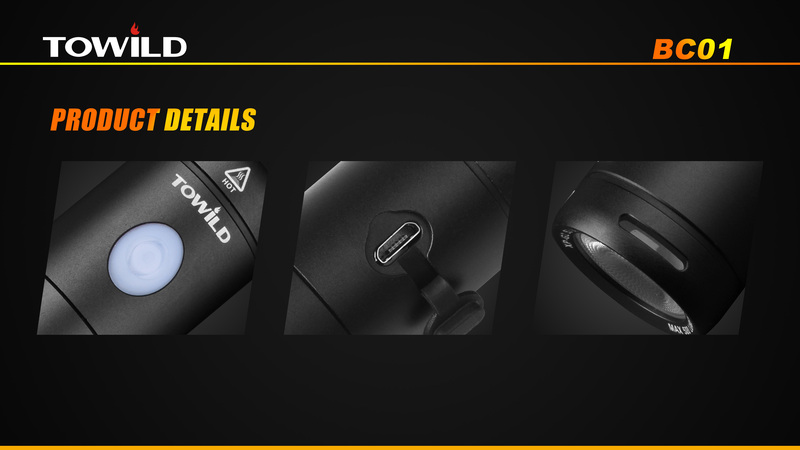 Single button switches among 5 modes: High light, Low light, Mid light, Slow flash, Fast flash. Easily recharged with power bank, computer and any other USB devices via a USB cable (included). 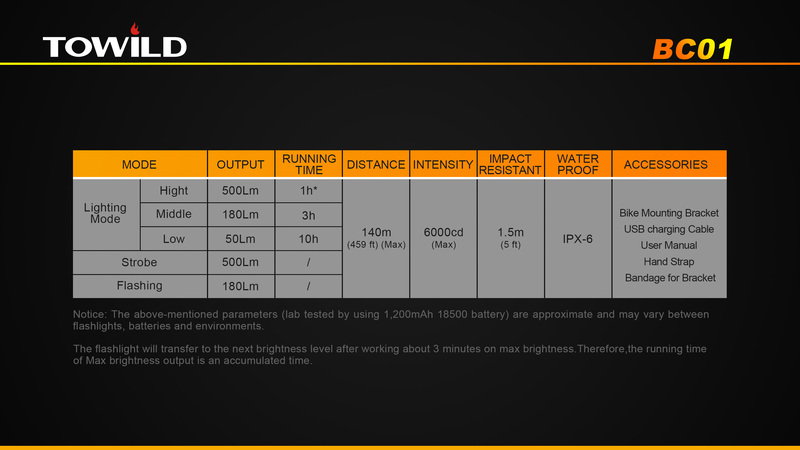 O-ring sealed and IPX6 waterproof to protect the bike light against water splashing, feel free to ride in rainy days! Anti-reverse connection and overcharge protection prevent battery damage. Aircraft-grade aluminum construction with anti-abrasive anodized finish is built to be lightweight and extremely durable. 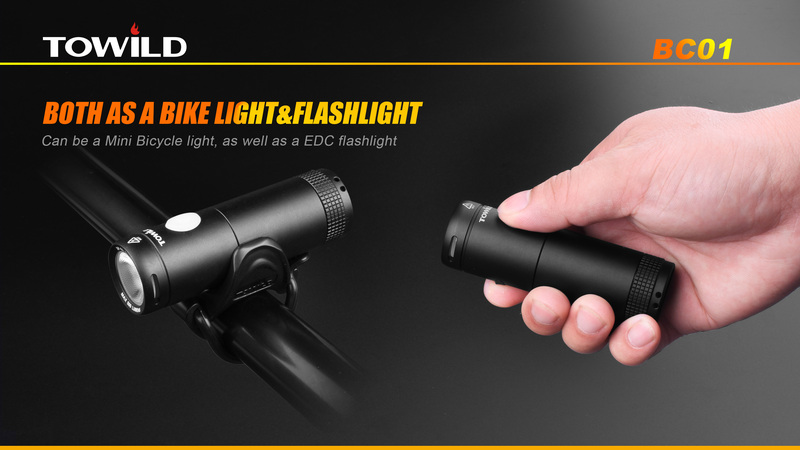 Easy to install on your bike with no tools required, used as a torch when removed from handlebar. 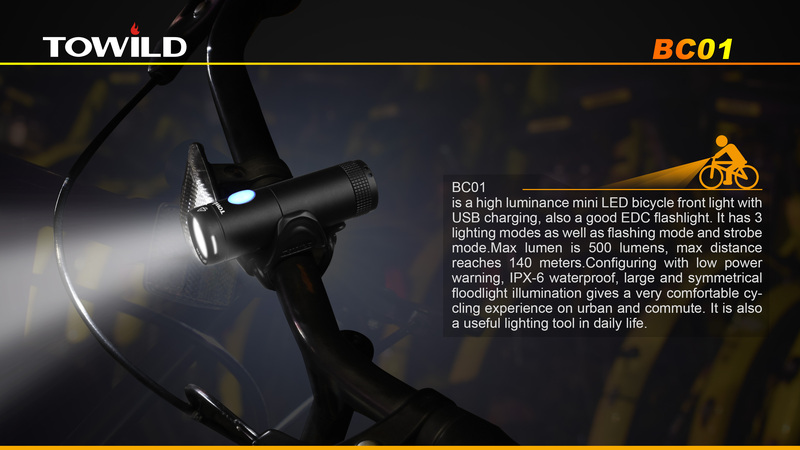 Perfect for commuting, road cycling, mountain biking, trail riding, and other outdoor sports. 1. Long click the power button for 0.5 second to turn on the light. 2. 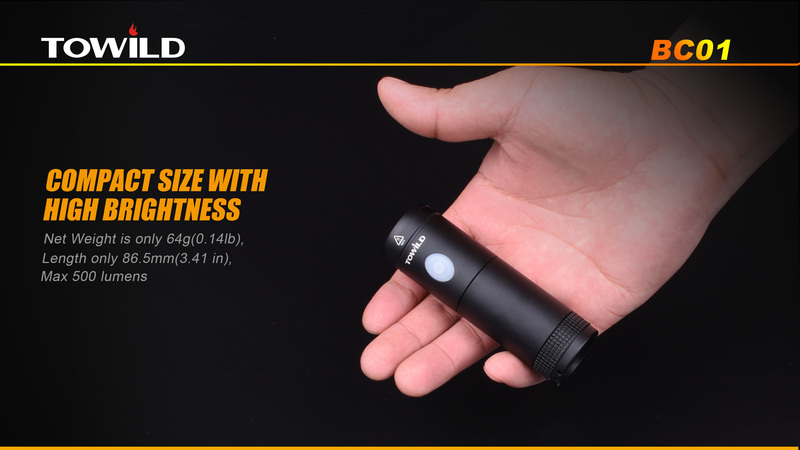 Single click the power button to switch the modes: High light, Low light, Mid light. 3. In any light mode (high / low / mid), double click the power button to enter Slow Flash mode. 4. Hold the power button for 2 seconds to enter Fast Flash mode. 5. Long click the power button for 0.5 second to turn off the light.